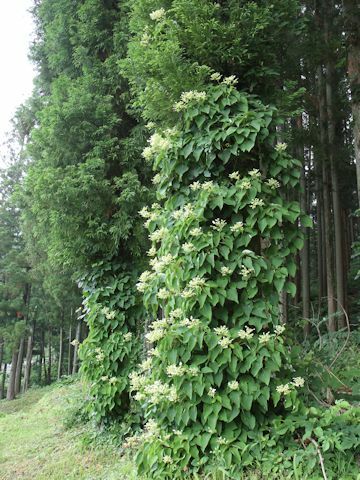 The Japanese hydrangea vine (Schizophragma hydrangeoides) belongs to the Hydrangeaceae (the Hydrangea family). 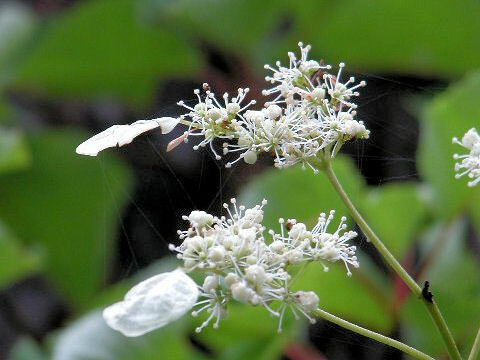 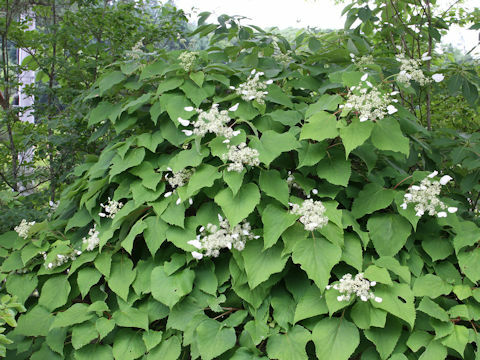 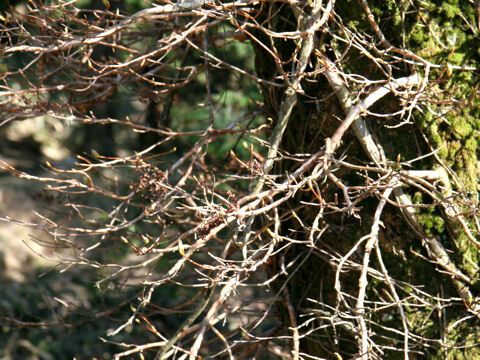 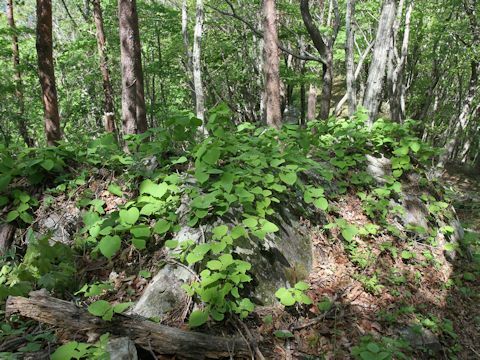 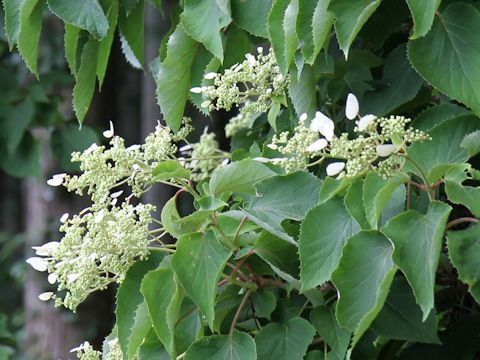 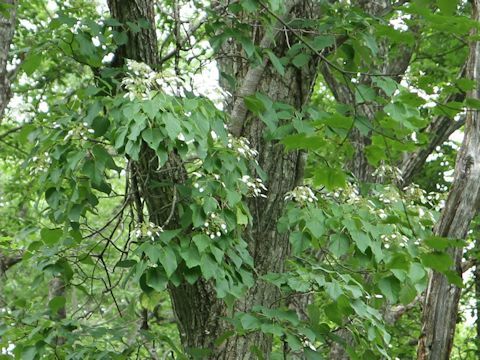 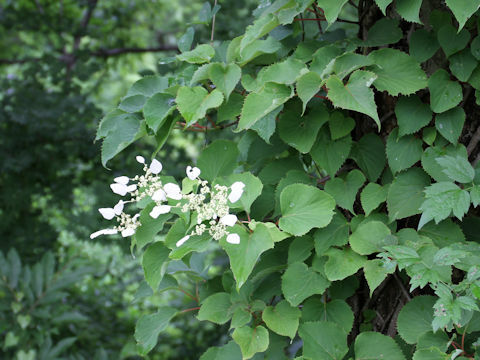 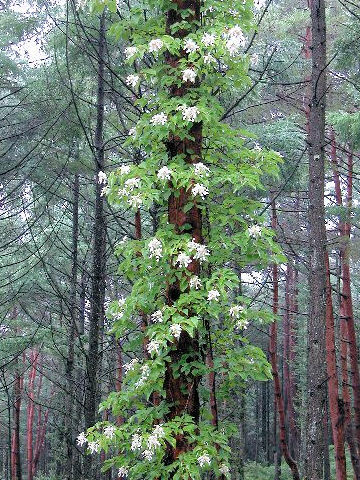 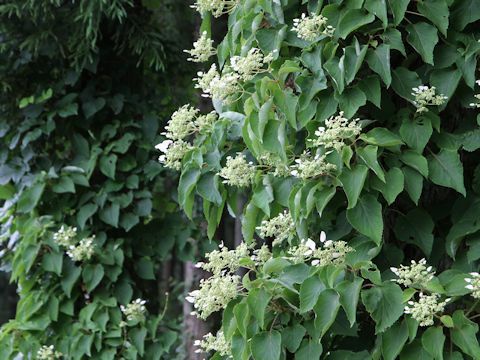 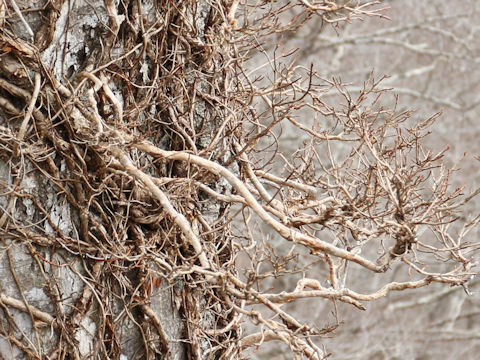 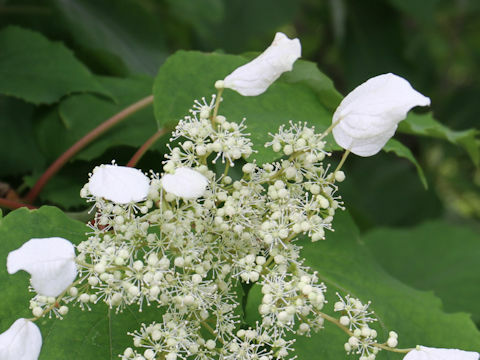 It is a deciduous woody vine that is native to troughtout Japan and the Korean Peninsula. 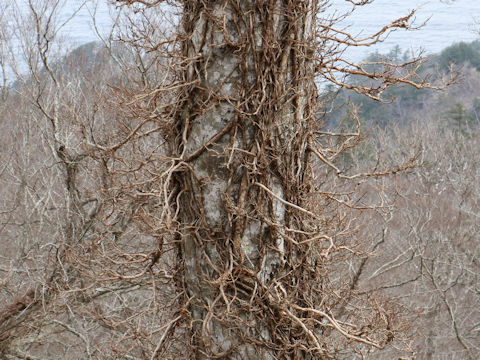 This vine grows in outskirts of beech forest belt and climbs up adjacent trees and rocks by the aerial roots. 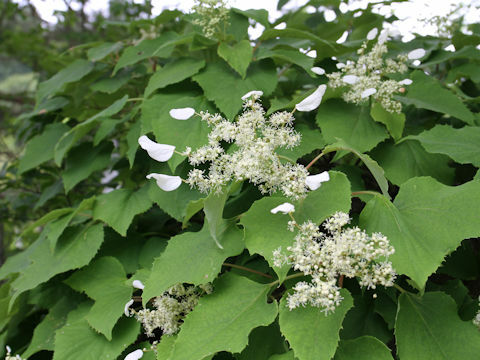 The leaves are broad ovate and alternate with coarsely toothed edges. 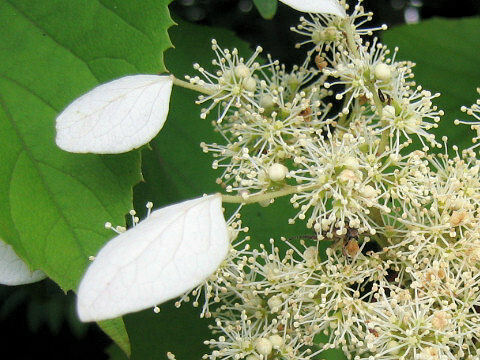 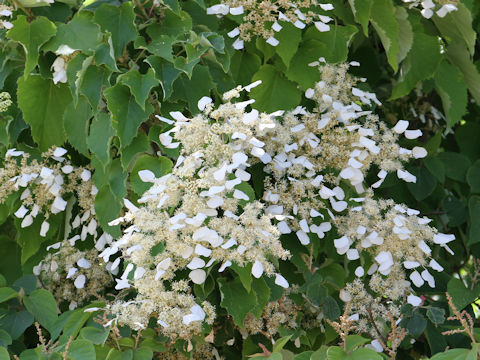 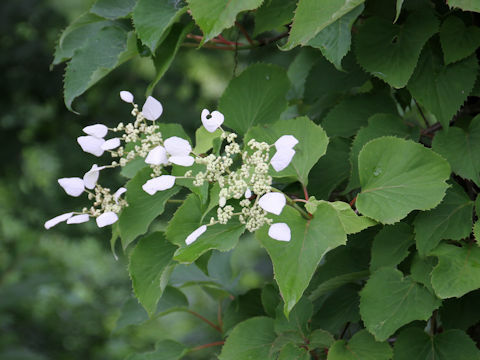 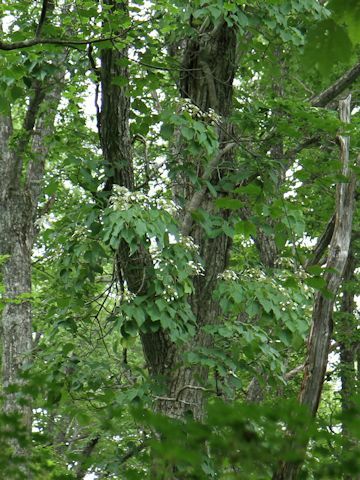 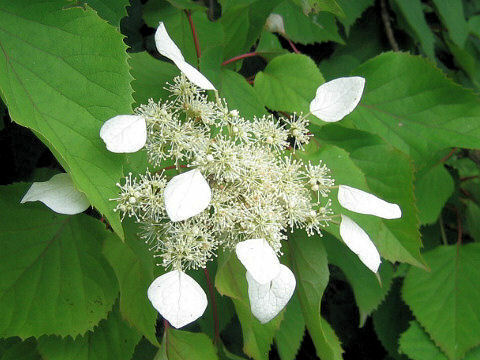 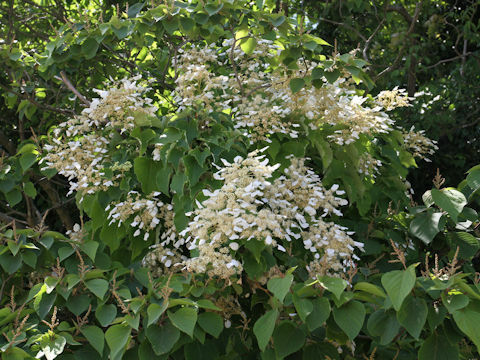 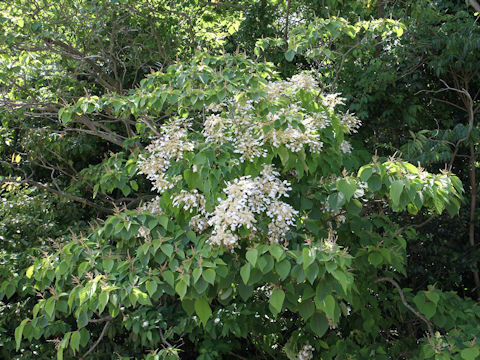 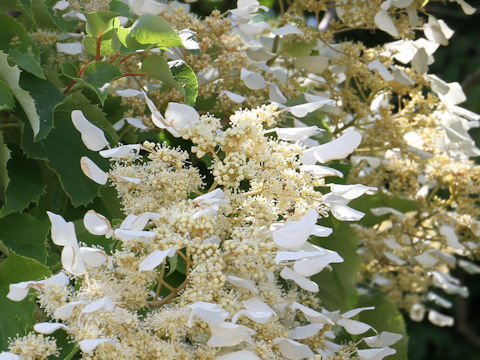 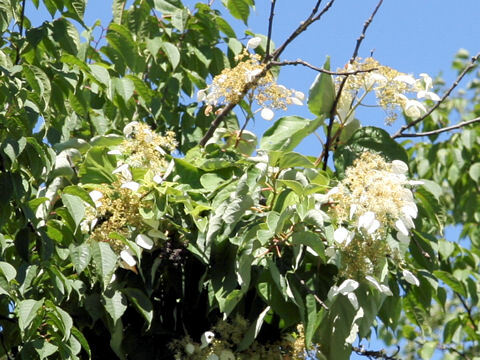 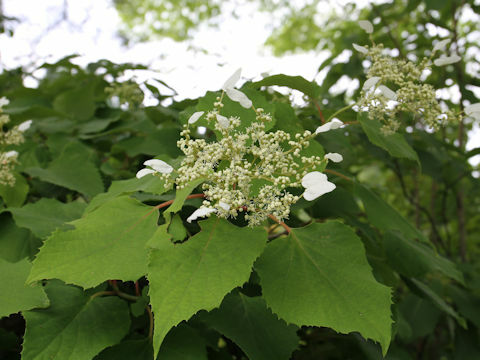 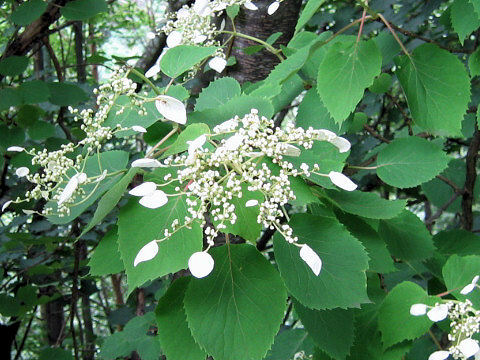 The corymbs are borne on the terminal branchlets, and bloom white flowers. 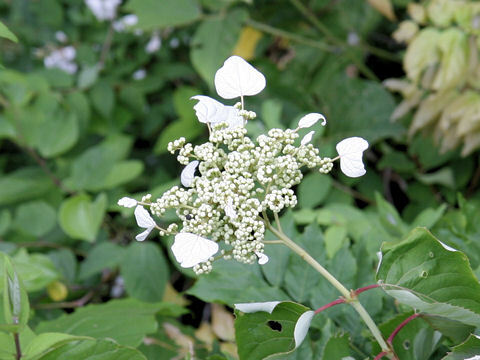 It is defined by the single ornamental flower. 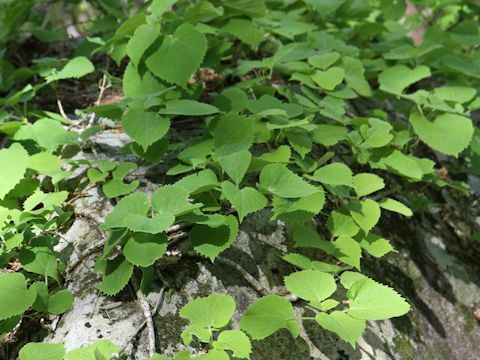 The burgeons are uesd for wild vegetable in Japan.